Scraped knees. First day of school. Last Tuesday’s meltdown… Mom has held your hand throughout all life’s bumps. Treat her to two-course Mother’s Day Brunch at Metropole. 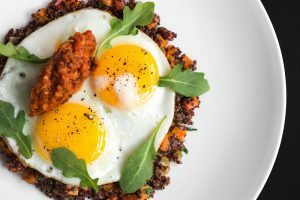 Executive chef Jared Bennett is preparing all your brunch favorites, like Quinoa Hash and the Avocado Toast. Price is $30 per person and includes coffee, tea and soda. Plus, let your server be your spirit guide, and let Mom explore her creativity with Metropole’s signature “Mimosa Experience.” The experience starts at $50 per bottle.